TEEN SEQUINS submissions are currently closed ! Check back here in Spring 2019! 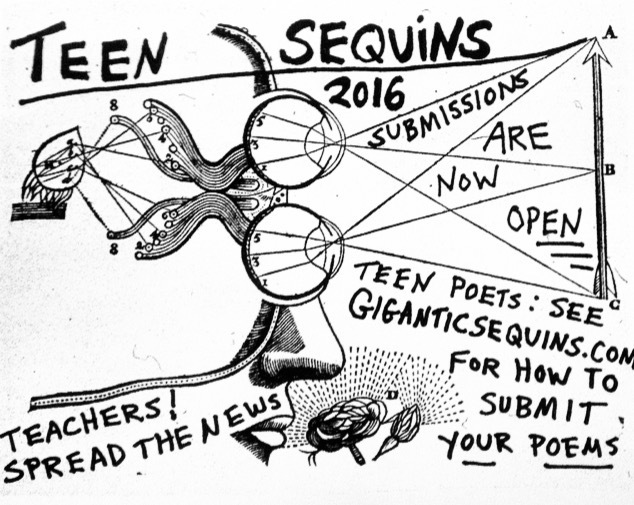 Submissions of 2-3 poems should be sent to teensequins@gmail.com. Poems should be grouped in a single document, attached to your email in a .doc or .docx format. Please do not paste poems in the body of your email. In the body of your email, list your age, your email address, the name of your school and city, and a brief biography (any personal information of your choosing, up to 100 words). 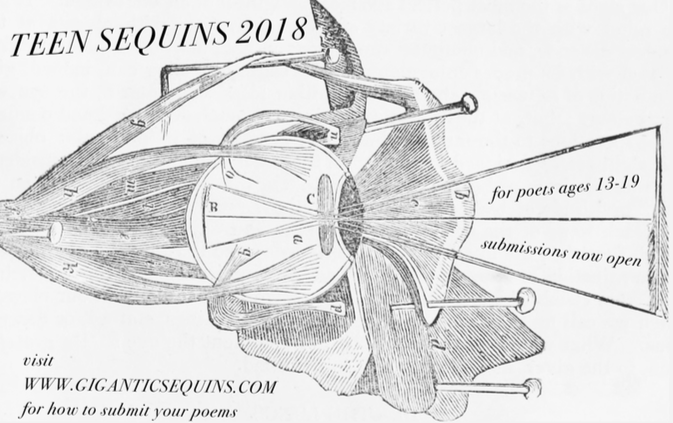 A single poem from each age group is featured on the Gigantic Sequins blog each August, and all submitters will receive the distinction of honorable mention for their dedication to poetry! Every age group is judged individually by Teen Sequins editors, Robby Auld and Sophie Klahr. Visit Gigantic Sequins online via Facebook, Twitter, and Tumblr. 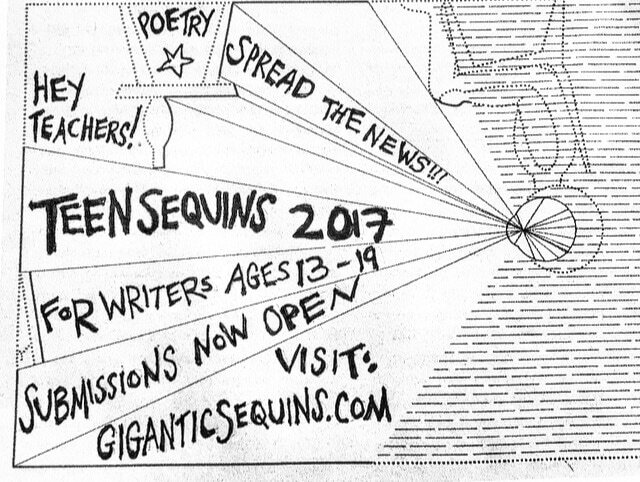 Questions or requests for flyers from teachers or students may also be directed to teensequins@gmail.com. You may (and please do) also download and share our flyer online!